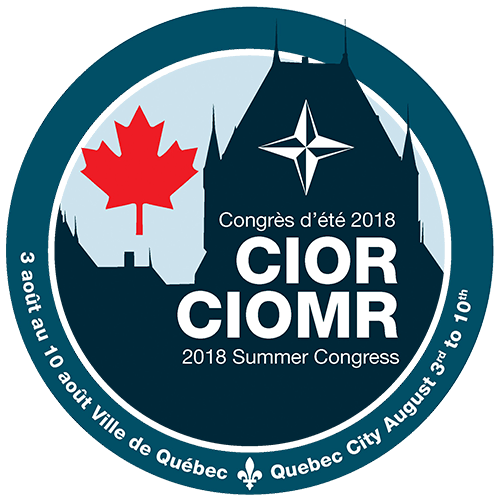 Hotel rooms for those staying in Quebec City are NOT covered by the CIOR Summer Congress fee. Individual participants are responsible for making and paying for their own reservations. Special CIOR rates begin to expire on 15 May 2018. The Young Reserve Officers’ Workshop will meet at the Le Concorde Hotel. Participants of CIMEX will have military quarters available for them at the Point-à-Carcy. All other group meetings, as well as CIOR social events, will be held at the Delta Marriott Hotel. Participants, including those of CIMEX, may choose to stay at any desired commercial establishment, although it is recommended to stay at or near the venue that is hosting your meetings. The Canadian Armed Forces will not be providing shuttles or transport between venues within Quebec City.